You can install Go programming on different operating systems like Windows, Linux, Mac etc. This is a link of binary distribution of the Go programming for FreeBSD (release 8-STABLE and above), Linux, Mac OS X (10.8 and above), and Windows operating systems for the 32-bit (386) and 64-bit (amd64) architectures. If you do not found configuration of your combination, try installing from source or installing gccgo instead of gc. We should choose the required archive file for installation. 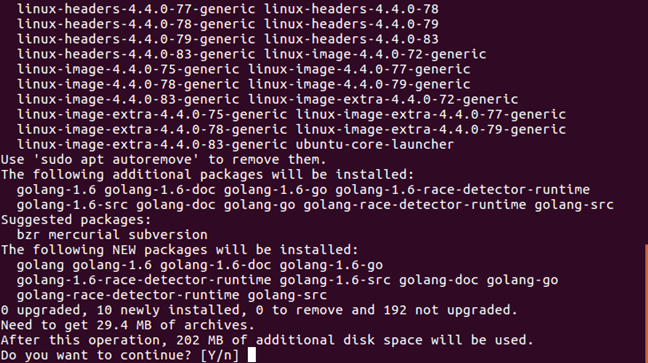 For Example, if we are installing Go version 1.6.1 for 64-bit x86 on Linux, the archive would be go1.2.1.linux-amd64.tar.gz. Choose the required archive file for Windows installation. Download zip file and extract it into the directory (Like c:\Go). If you have choosed a different directory other than c:\Go, you must set the GOROOT environment variable to your chosen path. Choose the required archive file for Mac installation. Open the downloaded package file, and follow the prompts to install the Go tools. 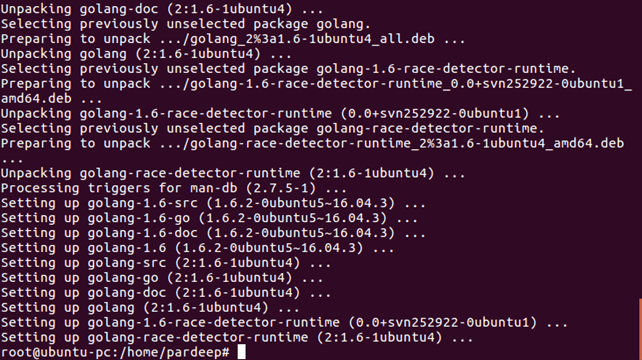 The package installs the Go distribution to /usr/local/go. The package should locate the /usr/local/go/bin directory to your PATH environment variable. You may need to restart the opened terminal sessions to make the change. 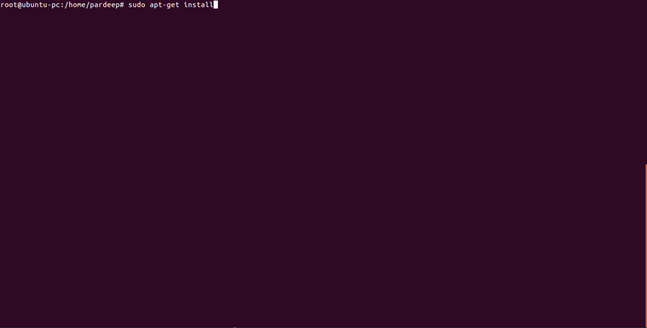 Now, Go installation is done, You can check the version by the command: go version.